Popular Fashion This Year: A collection of leopard print outfits! The animal print craze starts every year when it turns winter. In this article, I’ve compiled together some styles that use leopard print because I see that around quite a lot. Leopard print clothing tends to be designed with small leopard print spots, but big spots are nice too, right! And they go great together with pink velour pants. When you think of leopard print clothing you think fur coats. I’ve come to see them a lot recently around town. You can make quite an impact by wearing one of these, so there’s no need to worry if the rest of what you’re wearing is somewhat simple. They’re pretty handy things, aren’t they? As well as the fur coat as a standard leopard print item of clothing, you also have the skirt! It’s more casual than the coat, but when you really look at it you can see that it’s actually a gorgeous piece. When you want to look cool you can put on some tights, when you want to look a little cute you can wear tights, or when you want to go all out and look really flashy you can wear fishnet tights. You can use tights in lots of different ways, and I recommend doing so together with the skirt. If you’re the flashy and showy type, sorry to have kept you waiting. Did you double-take? Yes, you saw it right. This is an entire leopard print outfit!! Has this been done before…?! If you look closely, you can see that even the tights are leopard print…! It’s bright! Too bright! And the black knitted sweater supports the entire thing! 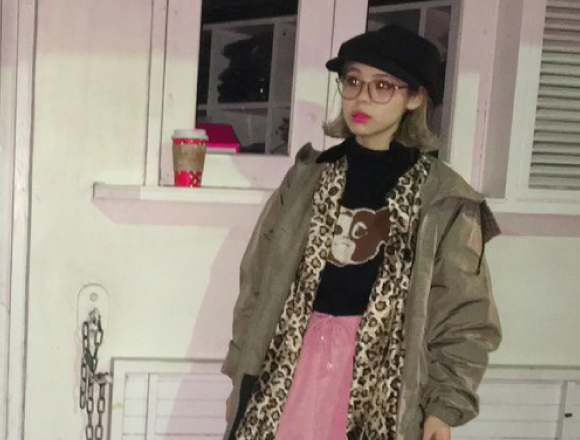 This outfit is worn by Ayumi Seto. 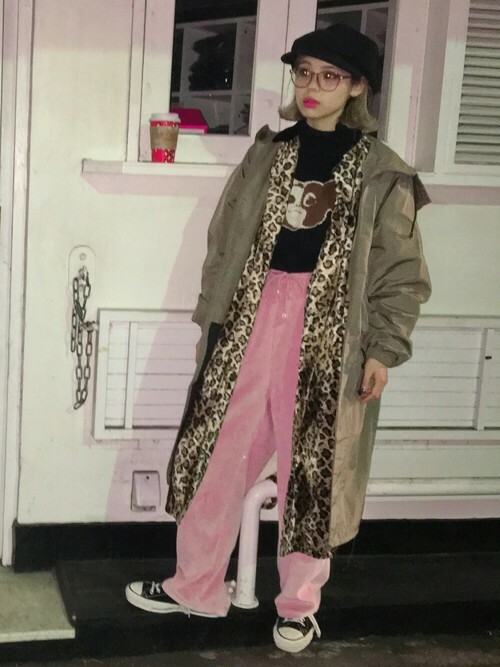 The leopard print clothing worn by Ayumi in this photo is from “Aymmy in the batty girls.” It’s a light piece so you can wear a coat on top of it too.This combination is awesome: leopard print, pink and khaki! 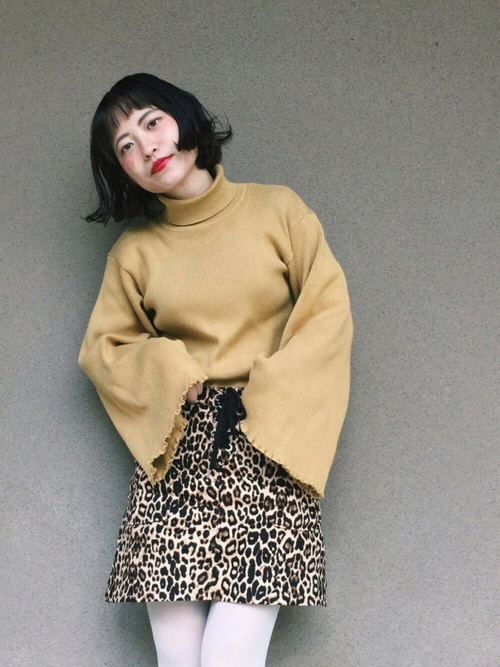 I will be happy if this article changed your preconceptions about the kinds of people who wear leopard print clothes, like grandmas from Osaka or Pikotaro. 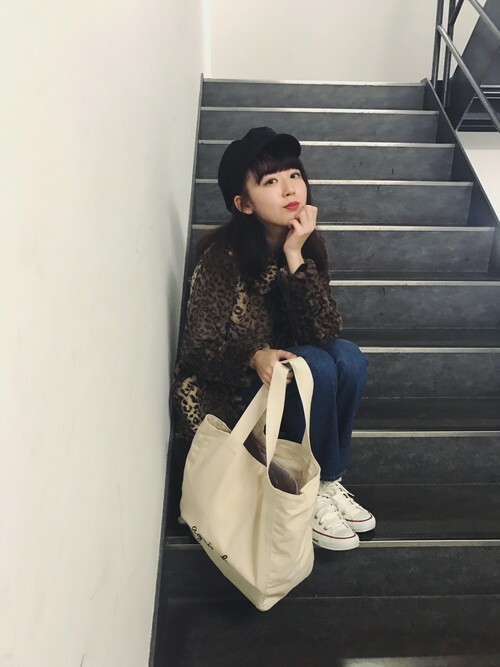 If you’re thinking that you’d like to try out leopard print but want something a little more nonchalant, then maybe start from a leopard print bag. Be sure to use this article as reference! 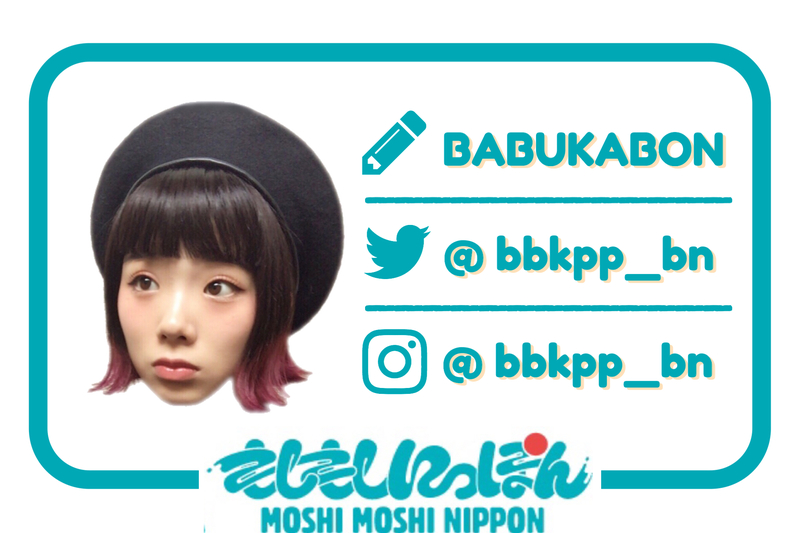 ■Related article：Winter fashion edition: Let’s wrap up warm in thick and fluffy clothes this winter!